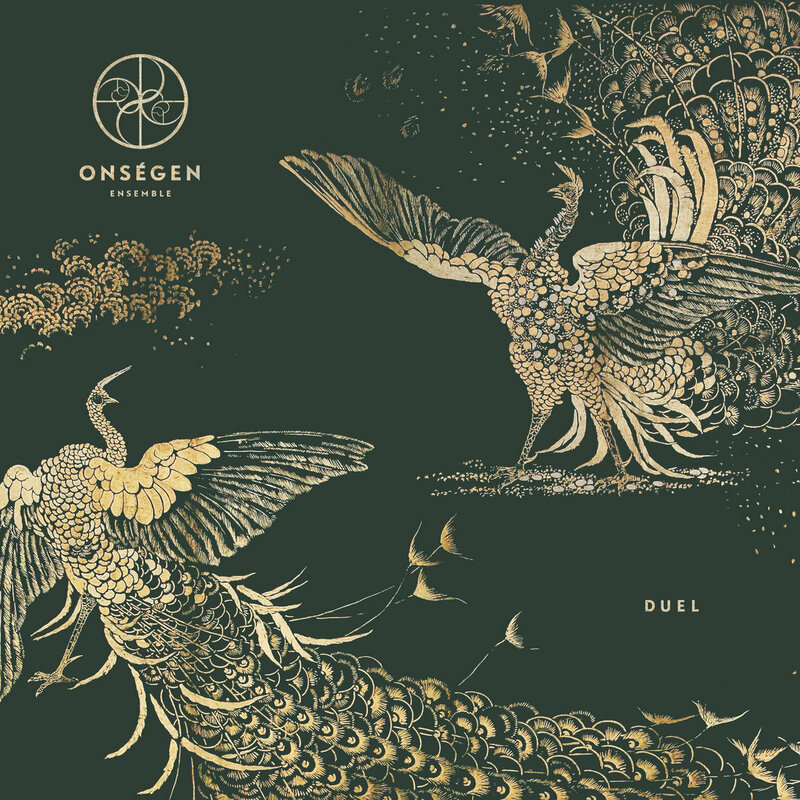 Duel, the second full length album by Finnish space rock, orchestral, trippy, psychedelic, post-rock and doom group Onségen Ensemble is a true gem. Release Date: June 6th, 2018 | Independent | Bandcamp | Facebook. I’m pretty much constantly looking for new music. It has gone from a curious interest to a thirst for everything new and diverse. Through this search I’ve encountered an interesting problem: I can’t articulate what exactly I look for in new music, because the music I cherish the most is more often than not so out there you wouldn’t even think something like this exists. It’s like thinking up a color you’ve never seen before. So when I stumbled upon Onségen Ensemble’s new record and went to discuss it with the team I was euphoric to discover that something this unique and unthinkable will soon be up for review. Today I’m proud and excited to present to you Duel, the second full length album by this Finnish space rock, orchestral, psychedelic, post-rock, and doom group. I know this is quite a long list of genres but wait everything will make sense soon. As a child growing up in Germany, I, like probably every child here, had to listen to “Peter and the Wolf” in music class. It’s described as a musical fairy tale in which every animal is assigned one instrument (e.g. the goose is an oboe, the bird is a flute, etc.). This memory immediately came back to me while listening to “Three Calls of The Emperor’s Teacher”. A drum plays a lonely cadence into the void, as the song starts, but gladly it doesn’t take long for the drum to receive some company. A recorder shyly introduces itself into the track before it’s joined by a cello. This introduction process of one instrument after another completes relatively quickly with bass and a clean guitar added to the mix almost simultaneously. Harmonization and drawn out melodies create a droning atmosphere in which only occasional overtones pop up before vanishing into the constant yet slow stream of music. But what’s that? Apparently not all instruments have introduced themselves at the beginning of the song as a sax now joins to play a raspy solo on top of the avant-garde orchestral piece. Like in “Peter and the Wolf” every instrument seems to have his own character and attributes. The flute is rather shy, while the sax remains confident and so on. This musical onomatopoeia draws vivid landscapes into the listeners head. This scenery changes quickly at the halfway point of the song, as the orchestral instruments are dipped in cosmic light by the guitar coming forth with a fuzzy distortion and some light modulation. The fact that this spacey guitar and the very loose feeling drum patterns are taking the foreground here while the other instruments drone in the background in lethargic harmony, makes this track feel like the Siamese twin to the band Earth, if they decided to play avant-garde operas set in space. A very different approach to this is taken by the song “Duel”. In an almost cyclic fashion, the instruments take the main role in the track, giving it a light ebb and flow feel. The different instruments come out a lot clearer on this track and go for an epic, soaring tone instead of the lush, operatic one I described before. This time around we are even given vocals, though they barely have lyrics and instead merely follow the melody. At only 5 minutes, this is also the shortest track on the record. I could go on and on about the intricacies this album has to offer, into all the nuances and bold, genre breaking decisions Onségen Ensemble has made on it, but you should discover some of them yourself. Duel is not only one of my favorite albums this year, skyrocketing onto my AOTY list like rarely any record has, it is also fun and light hearted, which is important considering all the technical or very serious avant-garde projects out there. It’s a record meant to be enjoyed, and one you shouldn’t miss.